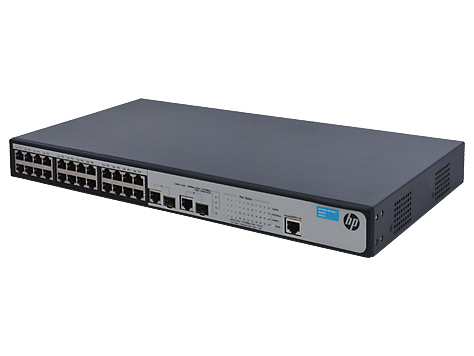 HP 1910 switches are advanced smart managed fixed-configuration Gigabit and Fast Ethernet switches designed for small businesses in an easy-to-administer solution. The series has 8 gigabit models and 5 Fast Ethernet models. 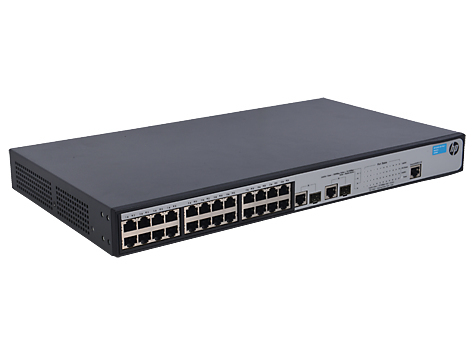 The gigabit models are : 8-, 16-, 24-, and 48-port 10/100/1000 non-PoE models; and two 8-port and two 24-port 10/100/1000 PoE models. Gigabit models have additional true Gigabit SFP ports for fiber connectivity. The Fast Ethernet models are : 8-. 24- and 48- 10/100 non-PoE models and 8-, 24- 10/100 PoE+ models. The Fast Ethernet models come with additional 2 combo uplink ports . 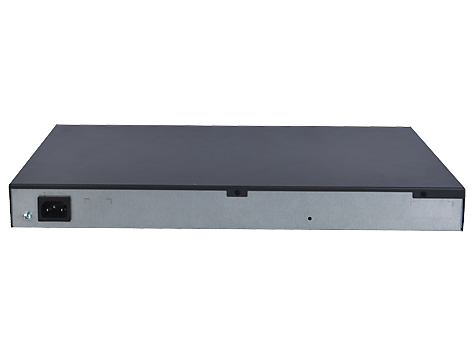 All HP 1910 models support rack mounting or desktop operation. Customizable features include basic layer 2 features like VLANs and link aggregation as well as advanced features such as Layer 3 static routing, IPv6, ACLs and Spanning Tree Protocols. 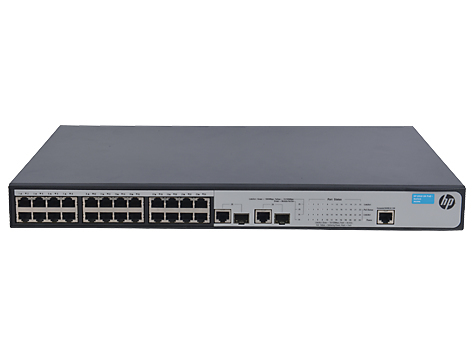 HP 1910 switches come with a lifetime warranty covering the unit, fans, and power supplies. • IPv6: IPv6 host: enables switches to be managed and deployed at the IPv6 network's edge. IPv6 routing: supports IPv6 static routes. MLD snooping: forwards IPv6 multicast traffic to the appropriate interface, preventing traffic flooding. IPv6 ACL/QoS: supports ACL and QoS for IPv6 network traffic.